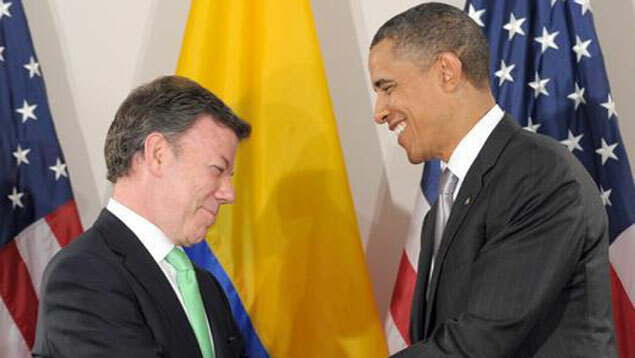 In recent years, the administration of Colombian President Álvaro Uribe, with support from the United Nations, has taken important steps towards maintaining peace through demobilization between Bogotá and the nation’s paramilitary organizations, by initiating a reconciliation process under the country’s Justice and Peace legislation. This law, proposed by the nation’s Constitutional Court, offers paramilitary groups incentives towards peace in an attempt to stem human rights violations. However, the process has not resolved the high level of violence in Colombia, with the UN reporting that over 150 new paramilitary gangs have been created since demobilization went into effect. These newly constituted groups are comprised largely of former members of the United Self-Defense Forces of Colombia (AUC). It is no surprise then that the UN has called into question the legitimacy of the current demobilization process and the merit of the regulatory law that established it. Furthermore, since 2008, over 70 members of Congress, many of them strong political confederates of Uribe, have been arrested and are awaiting trial in connection with the collusion charges brought against some of the paramilitary organizations. This widening scandal has become known as “parapolitics,” and has further undermined the credibility of the Uribe administration, although not so much with its own people or for that matter, with the White House. Indeed, while the demobilization process has diminished the size and power of Colombian paramilitaries, questions remain regarding the recent proliferation of new paramilitaries that should, in fact, be cause of alarm for Colombian officials. In its heyday, the AUC was a right-wing paramilitary and narco-trafficking group, whose 10,000 to 13,000 fighters were formally classified by the U.S. State Department as a Foreign Terrorist Organization. Formed in April 1997, the AUC worked to gun-down leftist FARC and ELN insurgents operating in nearby areas by also targeting key sympathizers, which often are aligned with sources of power and influence within the country. By eliminating these individuals from influential positions, the AUC’s strategy was to weaken its competition, while protecting its patrons from the leftist insurgents. The AUC supported itself through taxing ranchers and other land interests, as well as by means of its major participation in drug trafficking, particularly involving cocaine. By imposing taxes on narco-traffickers and other contrabandists, the group was able to achieve some financial security, which allowed them to purchase military-grade weapons on the world market, an essential prerequisite for gaining power in Colombia during its period of ascendency. Such influence gave the AUC unprecedented control and it represented a continuing threat to the country’s democratic process. The AUC has been linked to the deaths of approximately 10,000 Colombians during its busiest period of activity. It systematically destroyed villages protected by left-wing militant groups in a never-ending battle for land and power. Numerous mass graves of its victims have been uncovered, including the discovery of over 100 bodies near La Hormiga, an AUC citadel. The mass violence and destruction, revealed after 2006, gave some idea to the Colombians of the full scale of the AUC’s atrocities. After 2000, the direction of the AUC began to change, as its leadership broke apart and the group reconstructed itself in an effort to eliminate, or at least control, smaller factions more involved in narco-trafficking than in ideology. In December 2002, the organization accepted a cease-fire and entered into peace negotiations with Colombian authorities—an effort the Uribe administration hoped would end up reinforcing Colombian security. For the past six years, the AUC has episodically cooperated with the Uribe administration’s calls for demobilization. Since then, many militants have surrendered their weapons in exchange for amnesty from being extradited on drug charges to the United States. Official pardons or specific treatments were also extended in the form of reduced prison sentences or meager economic assistance to families of AUC victims in exchange for testimonies. This lenient attitude, short sentences, and minimal fines represent the sweetheart elements of the program. However, due to the nominal retribution aspects of the demobilization process—the easy terms, the pitifully small amount of compensation paid to survivors who were murdered by the AUC, and the guarantees that if they confessed being guilty, they would not be extradited to the U.S.—the integrity of the program has been drawn into question. Though its control over various geographic regions and its share of the narcotics industry appeared to dwindle, in actuality, the AUC still maintained significant control over the economic and political structures of Colombia, even in recent years. One aspect of this was that AUC members were affiliated with various mayoral, gubernatorial and council positions in regions of importance, thus leading to the well-documented claim of the group’s ability to influence 30 percent of the Colombian Congress. Perhaps due to the controversial aspects of the demobilization process, the AUC was able to maintain a lingering presence in Colombia. While the process was able to chip away at the main factions of the AUC itself, the UN reports that approximately 150 paramilitary squads have formed since the initiation of demobilization, with many of its members claiming affiliation with the former organization. These emerging gangs, along with continuous human rights indiscretions, resulted in rising distress concerning remnants of the AUC that were found in a number of countries, not bothering to hide their identities. The UN now has begun to debate the effectiveness of Colombia’s Justice and Peace law, which initiated the original course of action against the paramilitary groups, giving them an escape hatch from which to disaffiliate from the AUC. The involvement of various Bogotá officials with paramilitary organizations has resulted in accusations against the Uribe administration. It is no secret that four of the seven political parties associated with him are linked with various paramilitary bodies. Despite the exasperatingly large numbers involved in the scandal, it is difficult to pin charges on those particularly guilty of having close ties to disreputable elements. Out of the 76 Colombian Congressmen currently under investigation for links to paramilitary gangs, it is predicted that only 22 are likely to be found guilty, which is not saying much. Despite this, the prison system within Colombia is heavily corrupt. Many prisons, such as Cárcel La Picota, are lax in their punishment regimen. Inmates consider them social clubs as they often have cell phones and other luxuries, at which venal guards turn a blind eye. Suspicions peaked as allegations regarding Uribe’s involvement with paramilitary groups continued to surface. In order to gain control in their areas, paramilitary organizations were expected to eradicate leftist groups that opposed the administration’s political goals. Further affirmation was supplied regarding the corrupt links that paramilitary leaders had with pro-Uribe candidates, when the AUC groups worked closely with Uribe’s political backers in hopes of guaranteeing victory in the 2006 elections against what they saw as unqualified Uribistas. Striving to protect the members of the Colombian Congress implicated with the AUC, Uribe attempted to limit the power of the investigative and criminal justice system that could potentially embarrass his interests. He also exiled several paramilitary leaders to the United States, a move that hindered the investigation into the parapolitics scandal, as the complex web that connects paramilitaries and government officials became further tangled. This illicit rapport between the government and the surviving right-wing paramilitary organizations allowed for the infiltration of the Uribe administration. After the disintegration of the AUC, the breakaway paramilitary gangs were able to secure considerable electoral power in Colombia. Thus the former subordinates of the AUC leadership have been able to maneuver themselves into positions of power and influence within the country, as well as achieve a stake in the lucrative narcotics trade. More prevalent now than in years past, the links between Uribe’s administration and the surviving paramilitary organizations (which can be considered no more than Colombian mafia), are detrimental to the advancement of the country. As long as members of various paramilitary elements remain involved in the inner-workings of the government, Uribe should offer an explanation before being given the opportunity to be elected for a third term as president of Colombia. As the investigation continues into the AUC’s links, further scrutinizing them, an increasing amount of evidence is being turned up that points toward the active complicity of Uribe himself in the parapolitics scandal. Delving further into this situation within Colombia has unmasked a system that is intertwined with corruption and which likely involves many of the country’s most influential circles. Experts believe that Colombia’s network of crime can be directly linked to the military, to members of government and to street crime organizations. While not being able to specifically target Uribe’s participation with paramilitary groups, the scandal has proved to be a calamity for the reputation of his administration.